I just went though their spare parts shop online, all the parts for a set of axles for the current Everset Gen7 (non-portal) came to ~ $150 total. I got a beta set and after the current update, they think they’re well worth the money. Really hope some aftermarket companies start upgrading that axle! 100% new design. Even the lockers are unique, which frankly, wasn't necessary. I don't think any parts are shared! I’d invest in some metal bling! Last edited by ferp420; 12-11-2018 at 05:19 PM. The Gen 8 portals are the same as the set they are releasing for the Gen 7. 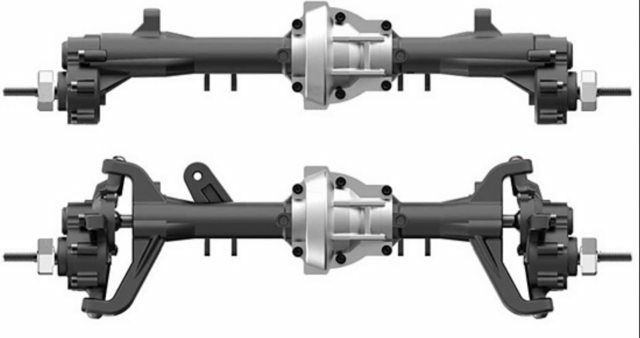 As far as the stock axles for the Gen 7, yes they are pretty much the exact same as the E10 had. No. The Gen7 axles are nothing like the portals that Redcat designed, and they have absolutely no interchangable parts. The Gen7 axles are the same as the E10 axles, but not the Gen8. The portals ARE the axle design. It's not like the portals are a part that just bolts on to a regular axle. The whole thing is designed around that aspect. I wouldn't be surprised if Redcat redesigned the standard axles, but aside from maybe the spool and the diff cover, nothing would be common. Last edited by ferp420; 12-13-2018 at 07:32 AM. Last edited by ferp420; 12-13-2018 at 08:02 AM.